In my last two Thailand posts, I shared some general observations about visiting Thailand and documented the best things we ate. 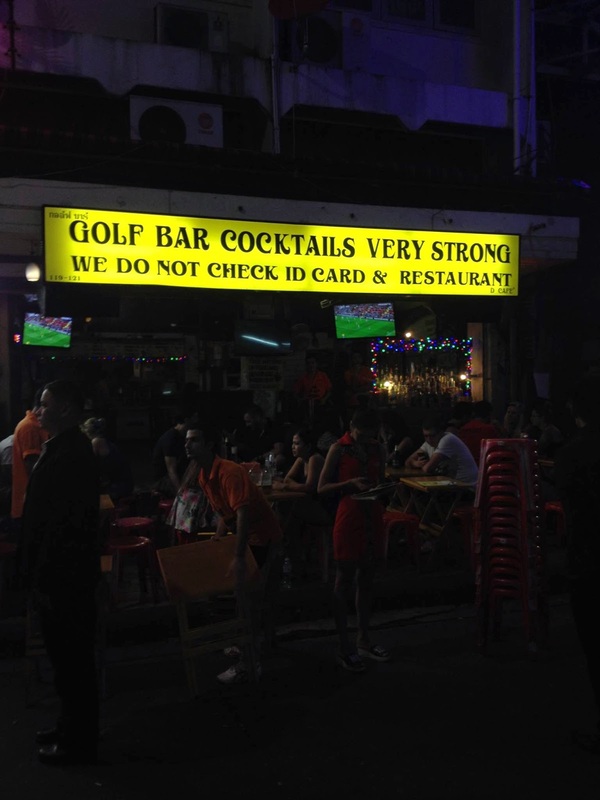 We also did a fair amount of imbibing throughout our honeymoon (duh, we were on vacation) but after we left Bangkok, our options were significantly more limited. 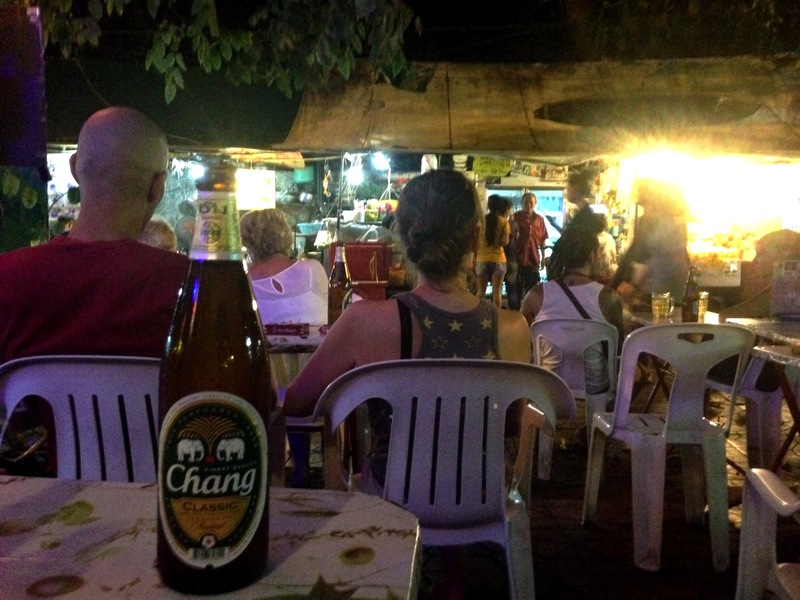 That's why I'm going to share our favorite places to drink in Bangkok... and add that if you're anywhere else in Thailand, hope you like Chang! Let me tell you, Mikkeller Bangkok is not easy to find. If it hadn't been for this guy's very helpful blog post, a readiness to walk down lots of dark residential alleys, and the promise of air conditioning on a 90°F night, we never would have found this place. I can only imagine what it must be like to come to Mikkeller when you've been in Bangkok for longer than two days (like we had been). 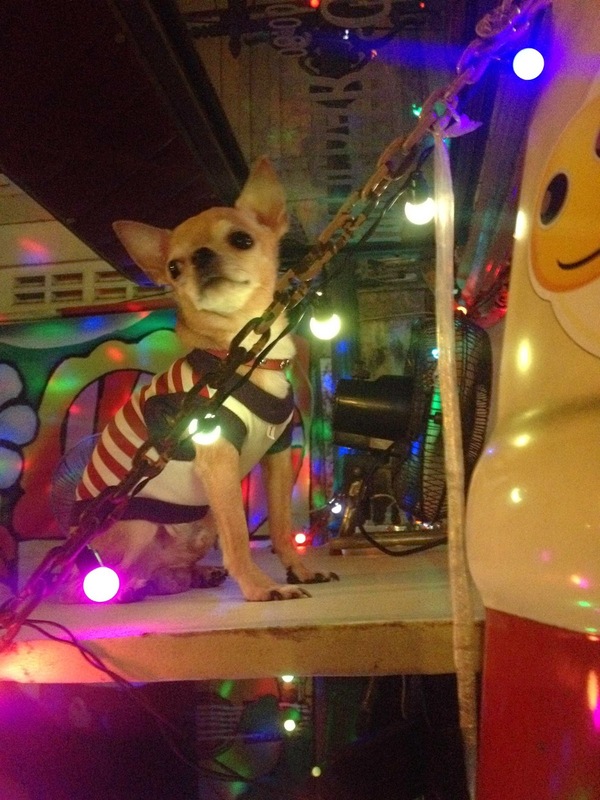 It was like a little slice of hipster USA. There were 30 taps featuring house brews and guest taps and between the two of us, we ended up trying a good amount of their selection. Mikkeller brews just a handful of their own beers in Bangkok: a pilsner, a brown, a pale, and a wit. The best was their Sukhum' Wit. It was a good balance of sweet and light, perfect after our long, humid trek out to the tap room. However, the best and most unique offering was from Danish brewery To Øl. The chalkboard in the bar called the beer "Split N' Lick" Oreo Imperial Stout and after a bit of research (yay wifi! ), we concluded it was the Goliat Imperial Coffee Stout that was being poured through a randall of Oreos. This heavy dark beer exploded with sweet, chocolately coffee flavors and was so, so good. Any Portland breweries want to attempt to recreate this? Cuz we'll be there ASAP. A couple of years ago I had a gig writing hotel blurbs for Travel + Leisure. 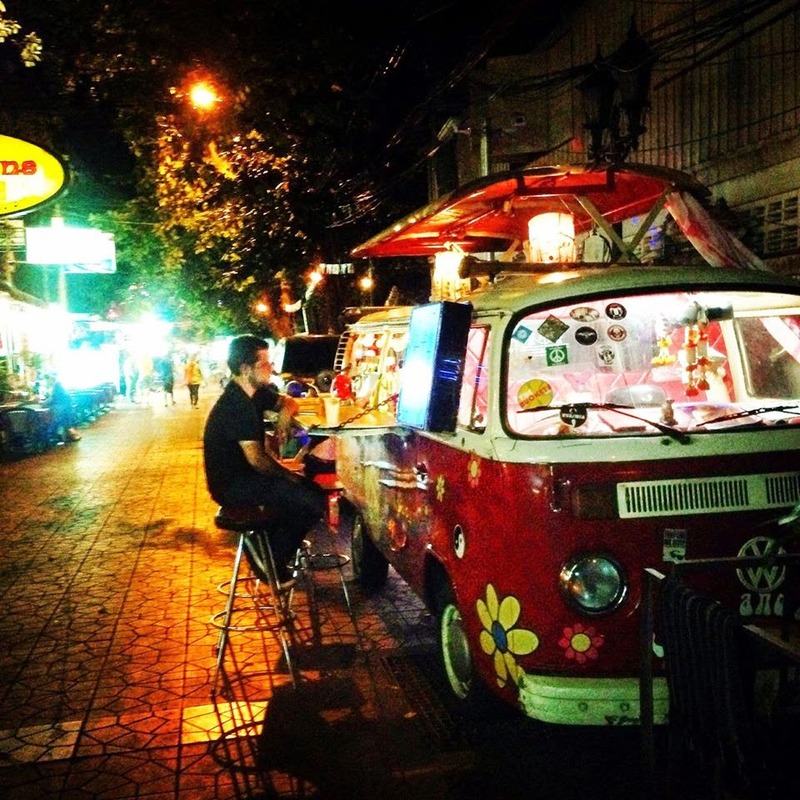 One of the cities I covered was Thailand (go figure) and I distinctly remember writing about a backpacker-friendly B&B in the Khao San district. I remember thinking that it sounded like a really cool area, if not a little sketchy. I don't know why then, when Doug and I were actually in Thailand, that it didn't come across my mind that we should check out Khao San Road until our last night in Bangkok. I can't believe we almost missed this place! What started in the 80s as a street that housed a few cheap guesthouses for backpackers has turned into a bustling neighborhood with bars, cafes, massage parlors, and food and clothing stands every few feet- and lots of lots of tourists. We much preferred Soi Rambuttri, a horseshoe-shaped street that runs parallel to Khao San Road. It's a little quieter and has lots of bars with tables that face out to the street so you can enjoy your drinks while people-watching. Soi Rambuttri is also where we found this fun little VW bus-turned-bar (apparently a popular thing to do in Thailand, as we would come to find out) which featured cheap cocktails and it's very own chihuahua. Soi 11 is like Khao San's much tamer, more refined little brother. The street is a favorite of expats with some tourists and locals thrown into the mix too and it's super easy to get to as it's just a block or so down from the Nana BTS stop. There are lots of little bars and clubs nestled along the road but our hands-down favorite was Cheap Charlie's. Cheap Charlie's is a cozy little shack of a bar with a few bistro tables and stools scattered around its perimeter. It's been open for almost twenty years now and the drink prices certainly reflect its name. 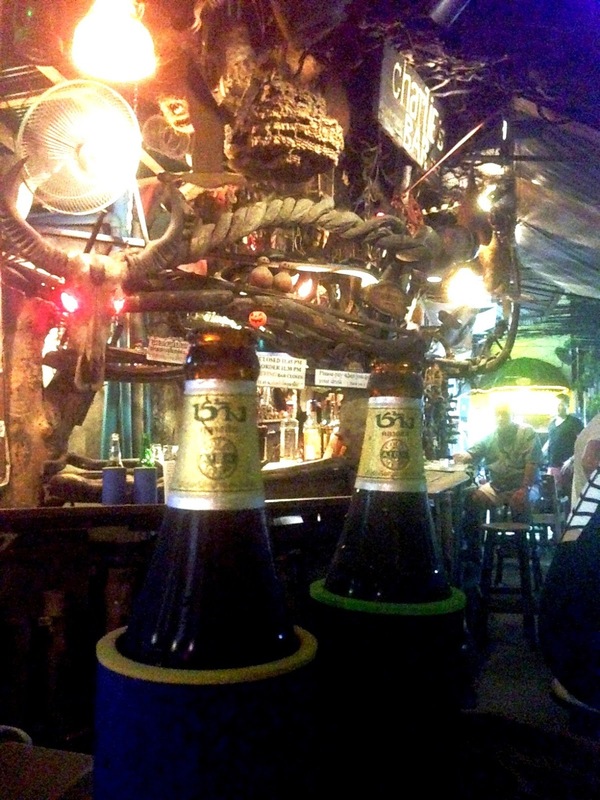 We're talking 60 baht ($1.80) for a Chang and 70 baht ($2.15) for a vodka soda. Charlie's doesn't serve any food but there are lots of street food options on Soi 11, including stands selling delicious pork satay, boat noodles, and pad see ew. Bangkok is known for its bevy of opulent rooftop bars whose prices tend to hover more around US prices than Thai prices. We knew we wanted a fancy night out, but also didn't want to blow our whole daily budget on a round a drinks. After doing some research, I came across Octave Rooftop Lounge and Bar at Bangkok Marriott Hotel Sukhumvit. With its great happy hour specials and panoramic views of the city, it seemed like the perfect choice. Happy hour is from 5-7pm and includes 2-for-1 drinks. That meant that Doug and I had to get the same cocktail, but that was a small price to pay. We started out with two Thai Mojitos (350 baht or $10.75) made with Thai rum, lime juice, mango, and Thai basil. For our second round we tried the Shining Sun (375 baht or $11.50) made with pisco, tamarind, pomelo and lime shrub, mango, pineapple, and a dash of absinthe. These were the best cocktails we had in Thailand and while they were definitely on the pricey side compared to most spots we had been frequenting, the views from the bar were worth it. That's it for my Thailand recaps! Whether or not I actually get to one about Kuala Lumpur remains to be seen... but don't you want to know all about a Malaysian speakeasy, the most delicious iced coffee/tea hybrid, and Doug's near-death experience? Okay, fine. I'll work on it.